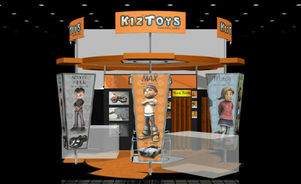 Completely customizable and are designed to bring your brand to life. 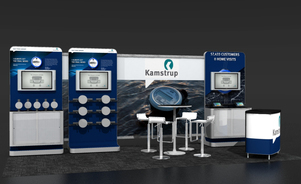 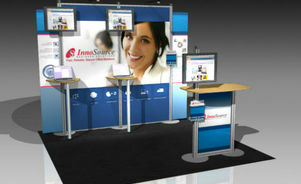 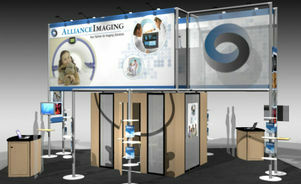 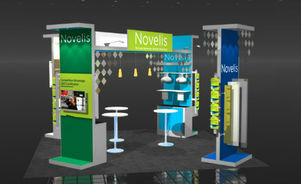 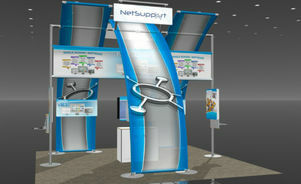 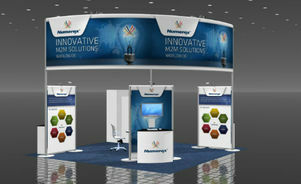 The 10 foot tradeshow booth offers a lightweight and flexible solution compared to the traditional inline exhibit. 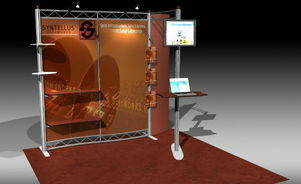 Let us build you a unique modular inline display. 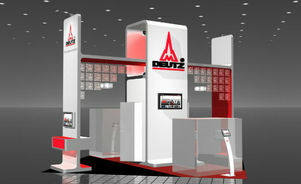 THE NEXT STEP UP FOR THE SMALL EXHIBITOR. 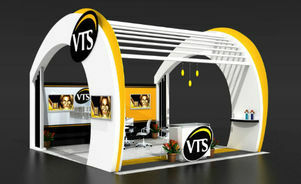 Engaging graphics and striking architectural shapes that compel the attention of attendees. 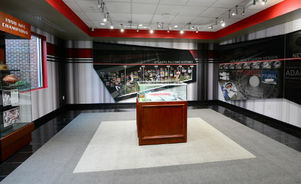 A little more breathing room than the typical 10 ft. exhibit. 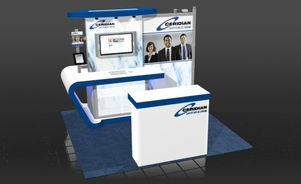 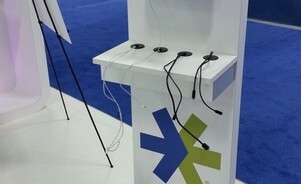 A perfect size for small demonstrations, monitors, casual meeting spaces and maximum client interactivity. 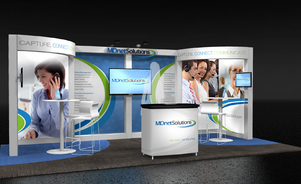 Let our design team help you create an exiciting and inviting exhibit with maximum impact and cost effectiveness for your dollars. 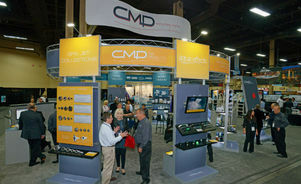 The ideal space for small clients that need a major show presence without the major show busget. 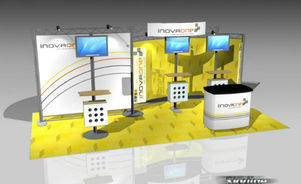 Reconfigurable, flexible, great for demos, conference rooms and small presentations. 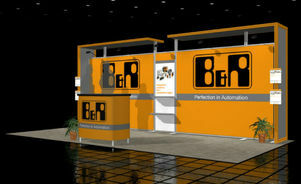 Large island exhibits and conference rooms, interactive technologies, custom graphics and award-winning designs, we’ll help maximize your event success by creating a unique structure and experience at every event. 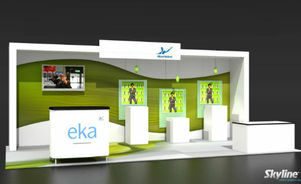 From elaborate 2 story designs to smaller more intimate spaces, our design team will attract and captivate your customers across any show hall. 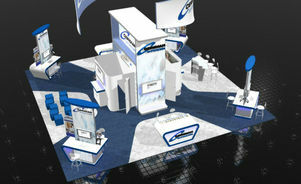 Looking for custom design? 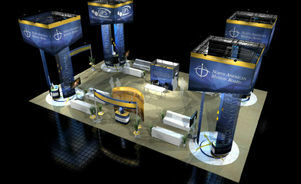 Our team can create custom exhibits and other elements for your next trade show to ensure your company stands out.